Please welcome Donald Nijboer as our March 3 guestspeaker! Donald will be talking about his various publications. He will also have some of his books for sale autographed! Please come out at 7pm to enjoy a meeting of modelers and listen firsthand from one of Canada’s leading aviation historians! The title of Donald’s presentation is: Operation Diver and the World’s First Cruise Missile attack 1944. 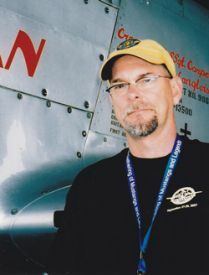 Donald Nijboer is a best selling aviation author/historian/documentary writer-producer/college instructor and Smithsonian Speaker who lives in Toronto, Canada. Donald is the author of Spitfire Mk V vs. C.202 Folgore, Gloster Meteor vs. V-1 Flying Bomb, Seafire vs. A6M Zero, P-38 Lightning vs. Ki 61 Tony, No 126 Wing RCAF, Graphic War: The Secret Aviation Drawings and Illustrations of World War II and co-author with photographer Dan Patterson, of Cockpit: An Illustrated History of World War II Aircraft Interiors, Gunner: An Illustrated History of World War II Aircraft Turrets and Gun Positions, Cockpits of the Cold War, and B-29 Combat Missions. Currently he is writing and producing full-length aviation documentaries for the on-line broadcaster Aerocinema.com. He has also written articles for Flight Journal, Aviation History and Aeroplane Monthly.